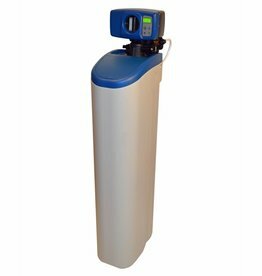 The water softener type IWK consists of three substantial elements, the cabinet container, the GFRP pressure tank and the actuator. The GFRP pressure tank is built in the cabinet container. Additionally, the cabinet container is used as salt dissolving tank. 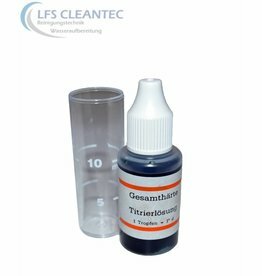 The GFRP pressure tank is filled with a high-quality softening resin. 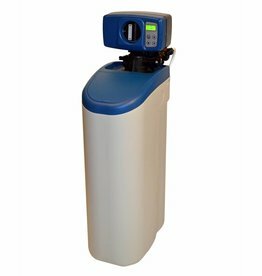 If the water softener is once connected, you don’t have to do anything else but regularly refill the salt tablets. The regeneration is triggered by quantity, which means dependent from the amount of the treated water. When the capacity of the softening system is reached, the system will switch into the regeneration cycle. 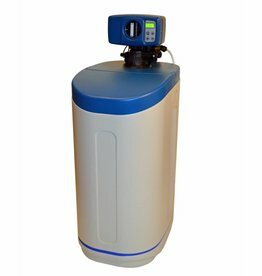 The decalcification system IWK is delivered with a BNT 1650 F actuator. The actuator BNT 1650 F offers next to different programs for quantity controlled trigger also a time controlled and manual trigger of the regeneration. The actuator BNT 1650 F is characterized by reliability, expediency and program that can be easily learned. The actuator BNT 1650 F has an adjusting screw that enables the adjustment of the blending hardness. Without blending, the treated water has a degree of hardness of 0°dH. 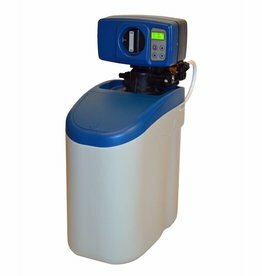 You have the possibility to adjust the water hardness to the desired degree of hardness with blending. During blending treated water is mixed with raw water. Which Benefits Does a Water Softener Yield and How Does It Work?